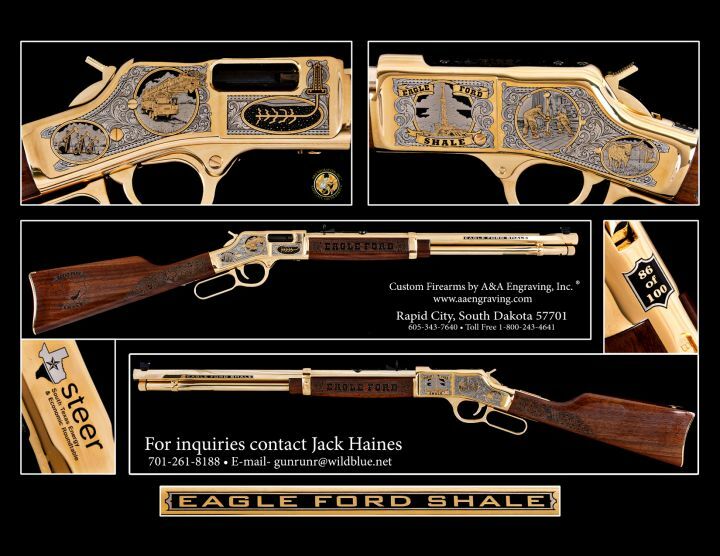 Eagle Ford Shale/STEER Henry Big Boy Rifle | Inventory | A&A Engraving, Inc. 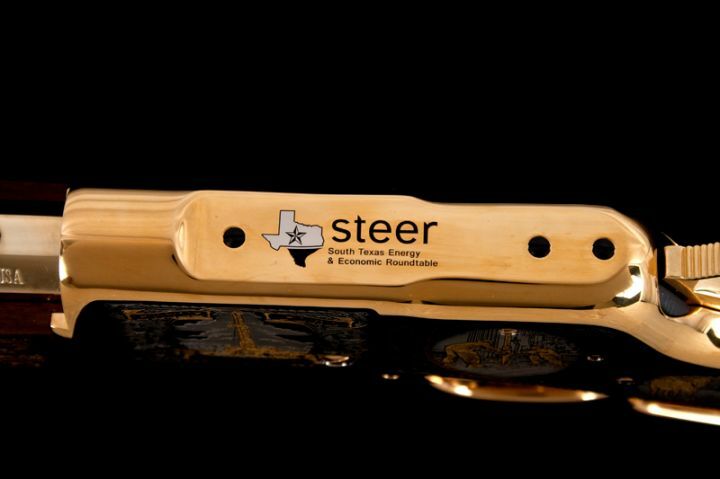 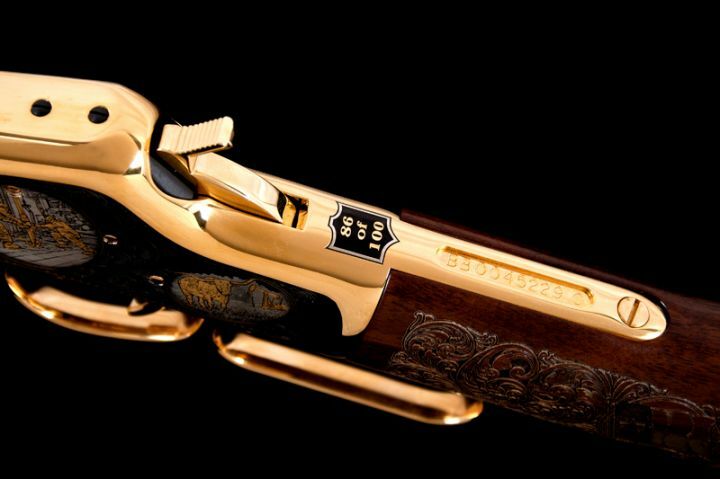 Finish: 5-tone Deluxe Finish, gold barrel, hand finished high gloss walnut stock and forend with laser engraving. 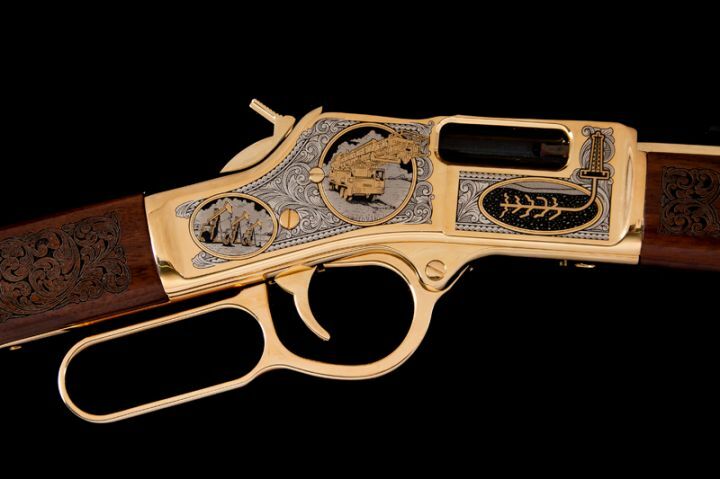 Includes: Handmade Oak Display Case, original box with paperwork, certificate of authenticity.